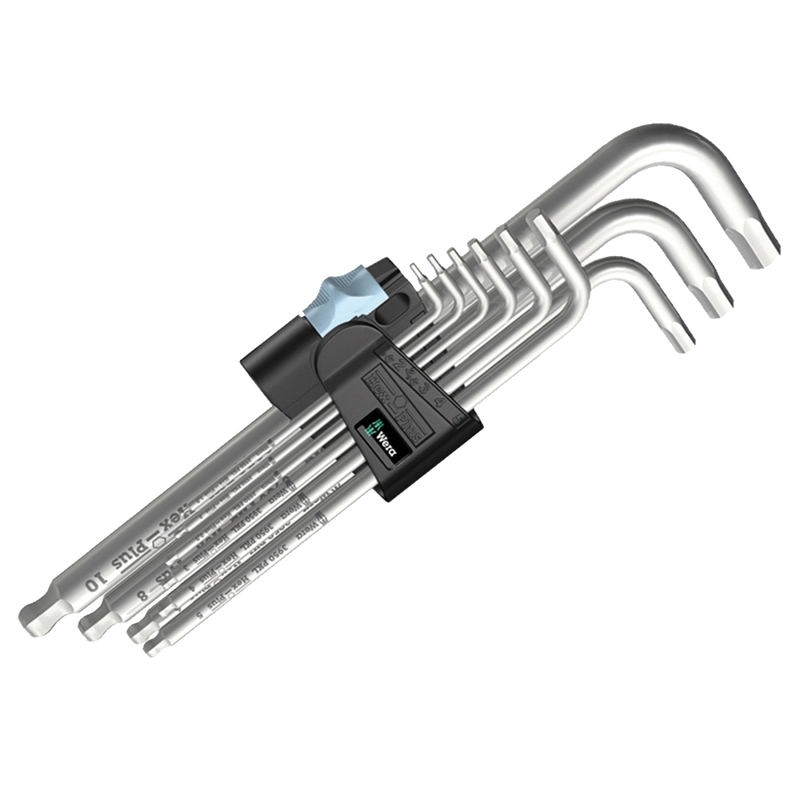 This Wera ground-breaking generation of Hex Keys has been developed to meet the needs from the ever increasing use of stainless steel in sport equipment, architecture, buildings, interior design and fittings as well as classic cars and motorbikes. They are also ideal for all normal applications. The Hex-Plus profiles are machined on for precision fit and allow 20% more torque to be delivered, dramatically reducing rounding out in the screw heads. 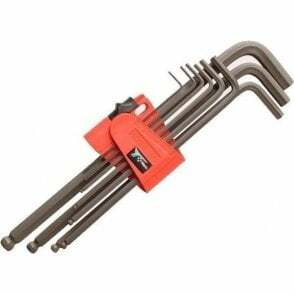 Made from round bar, the key diameters are bigger than conventional keys and are more comfortable during use. The Wera vacuum ice-hardening process gives the tool the required toughness and wear resistance for heavy-duty industrial applications. This set is supplied in a button opening tool clip that holds the keys firmly, but allows easy tool selection.